Tulips are the sign that spring is officially here. They are by far my favorite flower and I love filling my home with them! Check out this amazing collection of paper tulips, art projects, and fun crafts from our favorite bloggers! Tulips are my favorite flower. When they start popping up, I know that winter is officially gone and spring is here! I’ve never grown them myself, but my neighbor has a row of them in front of a cute white picket fence and I love driving by them. I usually can’t resist buying a bouquet from the store and I try to keep the flowers alive as long as I can. Since my thumb is pretty brown, I have to create my tulip collection the crafty way. 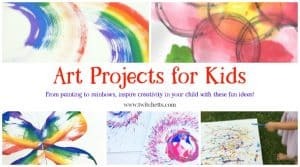 I know my kiddos will want to join in the fun, so I searched for a collection of tulips that my preschooler and kindergartener would love to create. 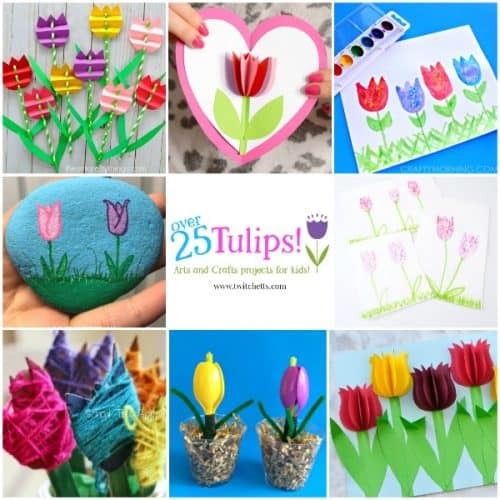 From amazing 3D paper flowers to no-mess glitter art projects, this collection of tulip arts and crafts are perfect for a class project, and afternoon of crafting, or learning about flowers! 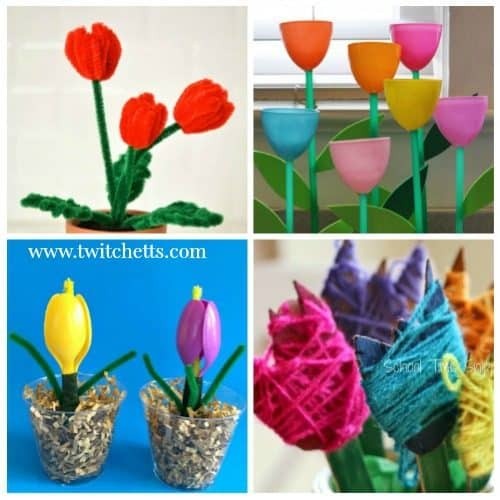 Seriously, what could be better than filling your home with tulip crafts? Create beautiful paper tulips with these tutorials. 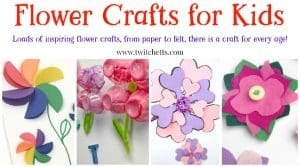 From 3D paper flowers to projects that will make amazing Mother’s day cards. You’ll find a fun papercraft for your kiddo. These accordion paper tulips were all over Facebook last year! They are quick, easy, and have a major wow factor! This paper flower unfolds into a fun card that’s perfect for Mother’s Day! Create amazing origami with this step by step tutorial! Create with toilet paper rolls and some paper with this fun kids craft! Create amazing art that pops off the page with this papercraft! These folded paper flowers would make lovely mother’s day gifts! A 3D flower inside a heart card. What mom wouldn’t love this! This 3D papercraft is for the more advanced kiddos, the hidden candy inside makes it a perfect Mother’s day gift! 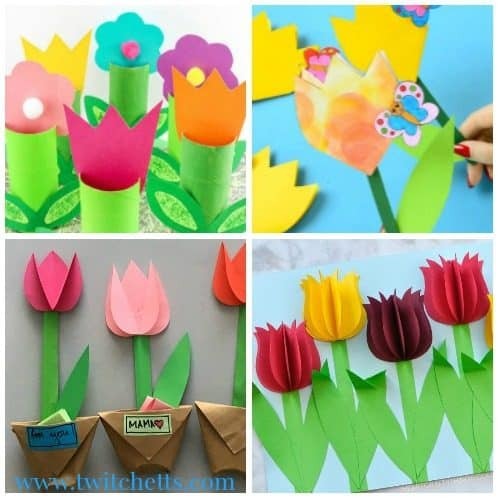 This collection of tulip crafts for kids is perfect for an afternoon of spring crafting. Hang them around your classroom or give them to someone you love! Kids will be creating a fun craft while working on their fine motor skills! Create fun plastic flowers with spoons!! Nothing says spring like flowers hanging in a window! This classic craft is perfect! Grab your stash of pipe cleaners and follow this tutorial to create amazing flowers! We love a craft that has us using up our recycle stash! These suncatchers shimmer in the windows! A fun craft for a spring afternoon. I love using construction paper to create mosaic crafts and this egg craft is no exception! Don’t throw out your plastic eggs! 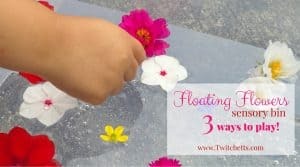 Use them to create fun flowers instead! Perfect for a spring coloring session! Break out the paints and let’s create some lovely tulip art projects. It’s amazing the different ways you can create a tulip! All the fun of glitter, without the mess. 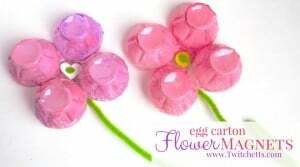 These glitter flowers are a fun art project for kids. 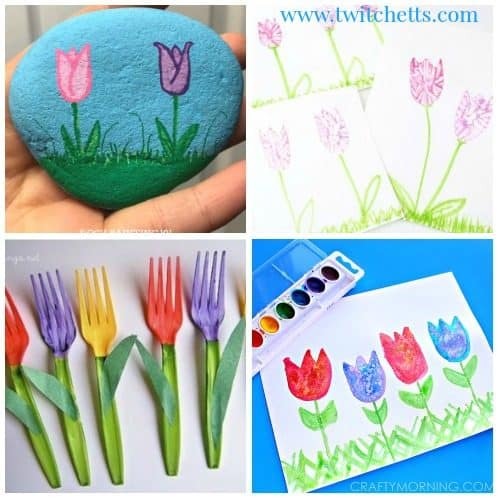 Learn how to draw a tulip and create a beautiful painted rock in one project. I love how salt reacts with watercolors. See how beautiful this art project is! Using Q-tip art, you can create a beautiful painting of a field of spring flowers! Grab a stash of potatoes and let’s start stamping! This classic art project is perfect for kids of all ages! Use your stash of paper tubes to create a fun 3D art project! Find a three-pronged fork and let’s create some art! Who knew that painting plastic forks could look so much like a spring flower? Amazing! Print onto napkins or towels with this fun art project! 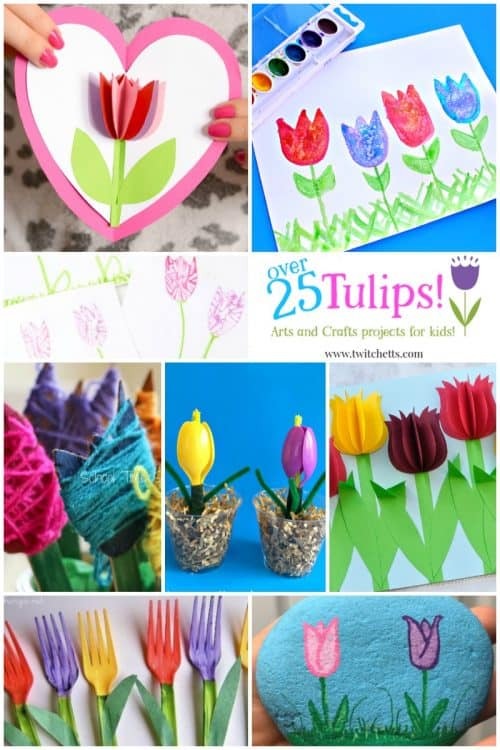 We’re in tulip heaven with this collection of arts and crafts for kids. I can’t wait to have a living room decorated with these fun spring ideas! Loved these arts and crafts for kids? Check out these amazing ideas!